Καλοτοποθετημένο στη εστιατόρια, παραλίες, ρομαντικές στιγμές περιοχή της Πουκέτ πόλης, το Surin Beach Resort είναι το κατάλληλο μέρος για να χαλαρώσετε από τις πολυάσχολες μέρες σας. Μόνο 20 km από το κέντρο της πόλης, η στρατηγική θέση του ξενοδοχείου διασφαλίζει ότι οι επισκέπτες θα έχουν γρήγορη και εύκολη πρόσβαση σε πολλά από τα τοπικά σημεία ενδιαφέροντος. Με την βολική του τοποθεσία, το ξενοδοχείο προσφέρει εύκολη πρόσβαση στους προορισμούς της πόλης που πρέπει οπωσδήποτε να δείτε. Οι εγκαταστάσεις και οι υπηρεσίες που παρέχει το Surin Beach Resort διασφαλίζουν την ευχάριστη διαμονή των πελατών. Για την άνεση και την διευκόλυνση των πελατών, το ξενοδοχείο προσφέρει δωρεάν WiFi σε όλα τα δωμάτια, 24ωρη φύλαξη, ημερήσιος καθαρισμός, κατάστημα δώρων/σουβενίρ, υπηρεσία ταξί. Το ξενοδοχείο διαθέτει 68 όμορφα διακοσμημένα δωμάτια, πολλά από τα οποία περιλαμβάνουν επίπεδη τηλεόραση, κρεμάστρα ρούχων, δωρεάν καφές φίλτρου, δωρεάν τσάι, δωρεάν ποτό καλωσορίσματος. ΟΙ ψυχαγωγικές δραστηριότητες του ξενοδοχείου, οι οποίες περιλαμβάνουν τις γυμναστήριο, εξωτερική πισίνα, σπα, μασάζ, παιδική πισίνα, είναι σχεδιασμένες για να χαλαρώνετε και να ξεφεύγετε. Το Surin Beach Resort είναι ο ένας και μοναδικός προορισμός για εσάς που ψάχνετε ποιοτικά καταλύματα στη Πουκέτ. I don't recommand the hotel restaurant. There is a much better and cheaper just next to on the beach. Breakfast is light, not a lot of choices. Some of the staff are not kindly. 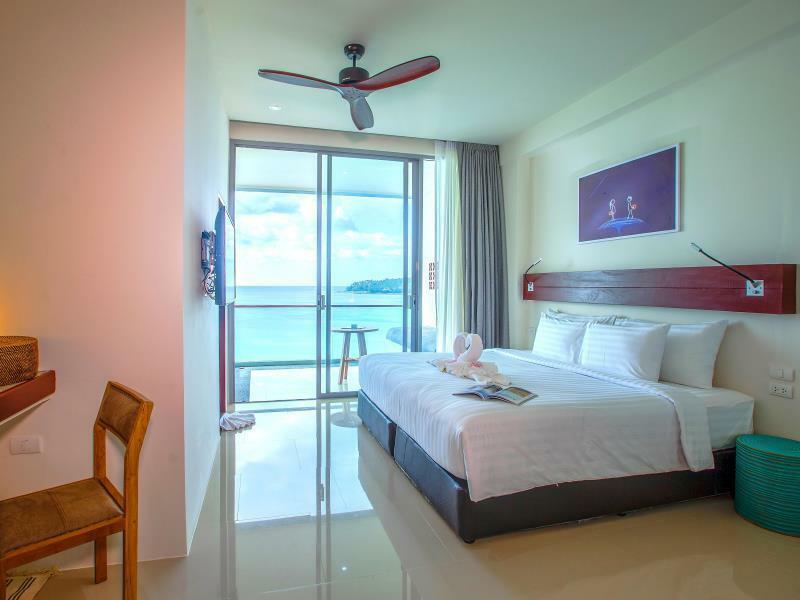 Great location, nice view on one of the best beaches of Phuket. Beautiful sunset. fantastic view. would have given 5 stars, but the pool closed at 8:00pm. too early . Great location and great amenities. Breakfast every morning was a nice touch. I purchased the room that lead to a private pool. The pool wasn't heated, but it really didn't need it, anyways. I have to say the restroom in the room could have been better. The window didn't close all the way and the water temperature was either way too hot or way too cold. There was a point when I was taking a shower, a friendly cockroach came in through the window. Luckily, it stayed next to the window sill. Anyways, other than those minor kinks, it was an awesome stay. Easy to get around and travel to the other beaches like Patong and Kata. Great place to stay. Resort is very nice. Food prices are double or triple local economy prices. Drinks are expensive too. Breakfast buffet is awesome with lots of different types of food including Thai dishes. We will be coming back again in a few years. 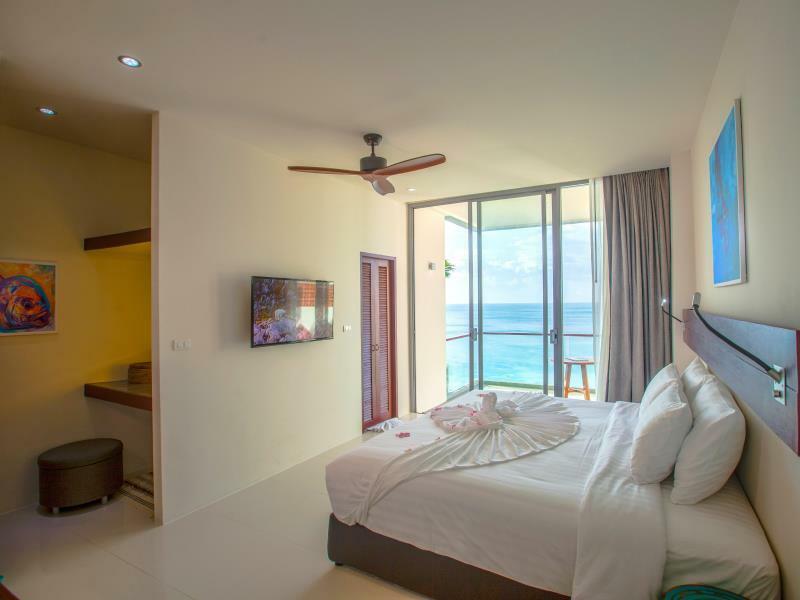 The resort is located alongside a beautiful beach, the rooms are clean, water bottles every day provided, plenty of choice for breakfast, shops close enough to walk to, pool access rooms are excellent, only downside is the bathrooms are sooo small! Very relaxing spot. 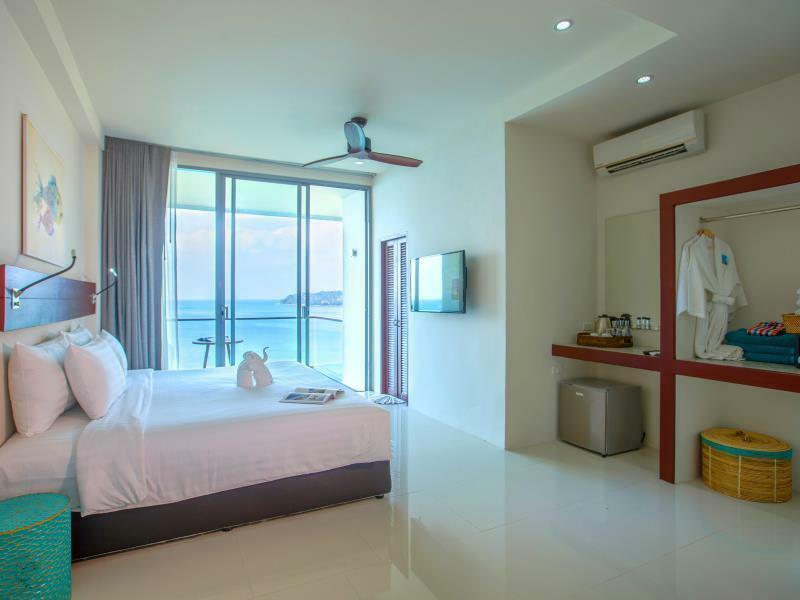 hotel location very close from surin beach. if you do not use the tour or activity and just relax in the hotel this hotel is good. restaurant is a bit far from this hotel you need to walk around 10min. We stayed in the jacuzzi room and they are amazing! 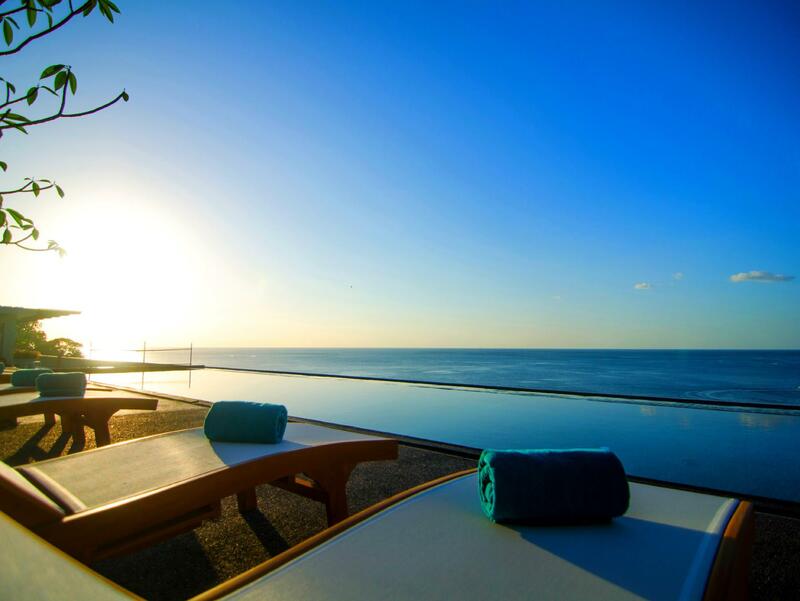 an infinity pool is just a few steps from the door and it's just available for those few rooms, so it's quiet and semi private. pity have been there in the rainy season as most of the restaurants nearby are closed and its rainy all the time. Love the view to Surin beach, with the sound of the wave against the rocks. Loved the balcony. Just didn’t like the breakfast, but maybe it’s my own taste which did not match it. But I will come back there for some surfing time. Very good place next to the beach. Very nice stay, away from the hustle of other beaches. The direct access to the sea, the hotel restaurant, the restaurant on the beach with it's long chairs, this all made our time there perfect for a few days of good rest. The rooms are great and clean, but the bed could be firmer and the batchroom needed some serious renovation (window did not close, the floor looked dirty - it was not dirty, but too old...) and we would have loved to have chairs on the balcony. What stood out was the privacy of the beach and the hotel. It's definitely not a four star hotel but there I was lots of space in the room and everything provided was more than adequate. Meal were excellent and very low cost.. The local restaurants provided excellent food and service. Beautiful views of the beach and sunset from this hotel. Lovely to enjoy at breakfast and from the rooftop near the pool. However the cons to bear in mind: 1. There seemed to be night workers working right outside our room one night which woke me and my partner up repeatedly. 2. Breakfast selection is average 3. Whilst beach access is available from the hotel, it is a decent walk to shops and other restaurants. 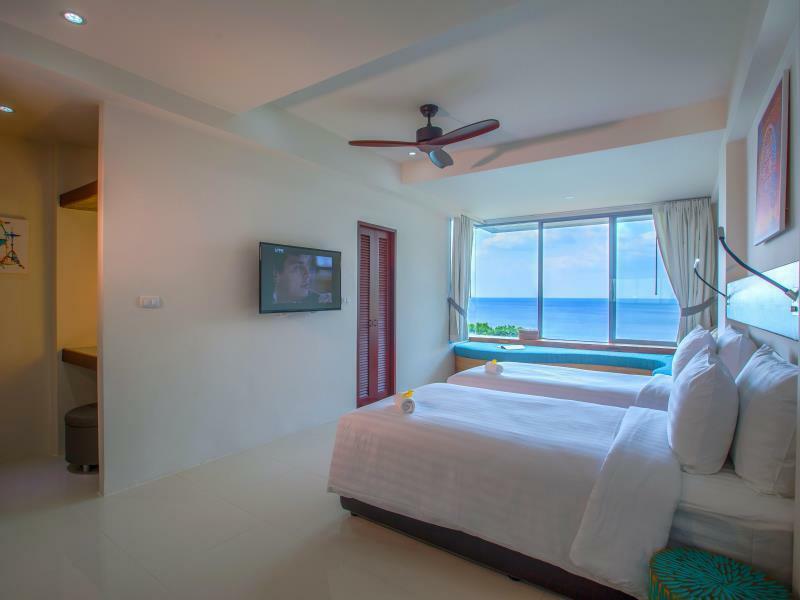 Surin beach resort is a great place for Holiday. The beach sunset was beautiful. Staff was very nice. Best location in Surin, but food trays at breakfast constantly empty, pool very heavy chlorine, gym ancient, one slow, old and smelly elevator. Some staff nice and some rude. We were looking for a place that wasn't in the hub of the more touristy spots on Phuket's west coast, and this place sits up on some rocks above a small beach. Beautiful views. The breakfast was very good - buffet style with both Western and Asian food. Staff was nice. The decor is quite dated - white and turquoise, but clean and fresh feeling. The entrance to the hotel is on a somewhat blind curve on a major street that runs up and down the coast, so you need to be careful with traffic and you come and go. But once you're down on the beach, it's lovely. Thankfully we only stayed here for 2 nights., this place desperately needs a renovation which is underway but they didn't let us know! In comparison to other hotels in the area it's a bit overpriced. 2 or 3 stars at best. Building and pool is in need of attention, rooms were clean and although they looked freshly renovated still not great. Staff were ok, not as friendly as we normally experience in Thailand. Overall okay but not great and wouldn't go back. 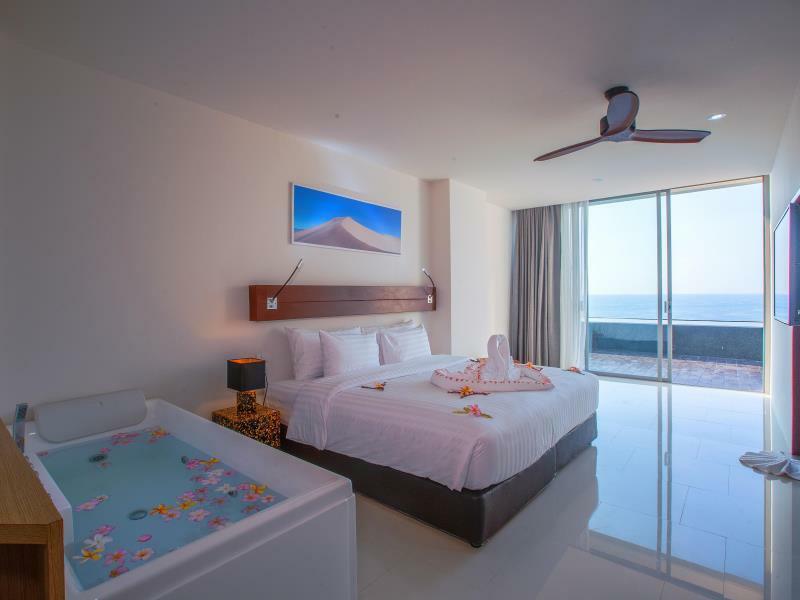 Amazing ocean sea view by the rooftop swill pool & so near to the beach . Only hotel inside is worn out a little ..... but all fine to me as main focusing on outdoor tanning & swimming ... clean & aircon is good condition for sleep . Only toilet could be slightly better as looking like a Bungalow outdoor shower . Ok for Value in money as not peak season . 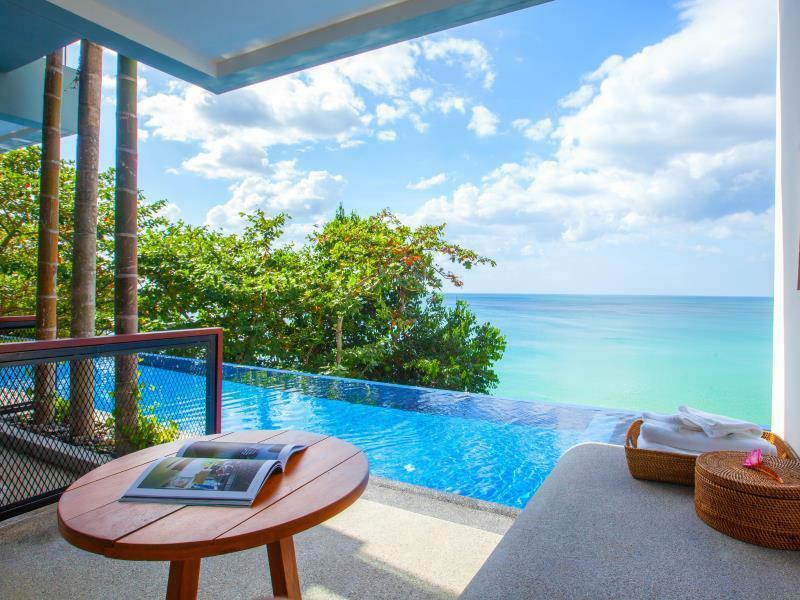 Booked resort a month in advance on Agoda. Pictures and reviews looked great and price was reasonable. However, the Agoda listing is very misleading. The resort is not nearly as beautiful as the pictures posted...has dark hallways, low ceilings (like, hit your head low), the pool is very dumpy - for example there was a tarp or something hanging near the pool and 2 soda bottles were tied to the bottom to weight it down. The beach access is a scary and dangerous path with no stairs down, over rocks and big drops. If you make it to the beach anyway, it is one of the more dirty ones. The room itself was basic but clean. Balcony only had one chair - requested a second and was brought a cracked plastic stool. Service was also lacking - i think a manager showed me to the room, and he was on his phone for half the time. In summary, was very disappointed, and checked out immediately even without getting a refund and i moved to a different hotel. Would not have enjoyed the week. This is our second time here. Always impress and love the hotel by the incredible beach. Will come back again every year!